NEW ORLEANS (WVUE) - The New Orleans Police Department held a news conference Tuesday regarding a fatal mass shooting on South Claiborne Avenue in July. Crimestoppers has increased the reward for information in the case to $27,000. NOPD Superintendent Michael Harrison, Crimestoppers CEO Darlene Cusanza and Mayor LaToya Cantrell were in attendance. Harrison said that the investigation is ongoing, and while detectives believe they know who the suspects are, they still need help from the public. Three people were killed and seven were injured after two suspects opened fire on a crowd at a daiquiri shop. The victims who died were Kurshaw Jackson, Taiesha Watkins and Jeremiah Lee. 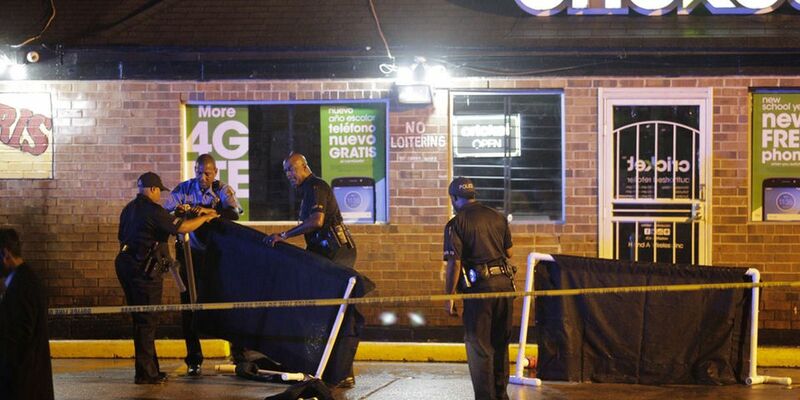 Police reported the shooting around 8:35 p.m. on July 29 at a strip mall in the 3400 block of South Claiborne Avenue. The two suspects were described as wearing hooded-style clothing, one brandishing a gun and the other a long gun, even taking time to stand over one victim, firing multiple shots. After the suspects opened fire on the crowd, they fled on foot toward Martin Luther King Jr. Blvd. “There is no place in New Orleans for this kind of violence. I speak for everyone in our City when I say we are disgusted, we are infuriated, and we have had more than enough. Three more lives — gone. It has to end. This happened near my neighborhood, on the edge of Broadmoor. It’s unacceptable anywhere,” said Cantrell. "We are grateful to those on the scene tonight: the NOPD, EMS, the chaplains and the social workers. We will dedicate every resource necessary to ending this horror and seeing justice done." If anyone has any information about this shooting, they are asked to contact Crimestoppers at (504) 822-1111. Crimestoppers is offering a $5,000 reward for information leading to an arrest in the case. Police remind everyone that whoever calls in with information can do so anonymously.